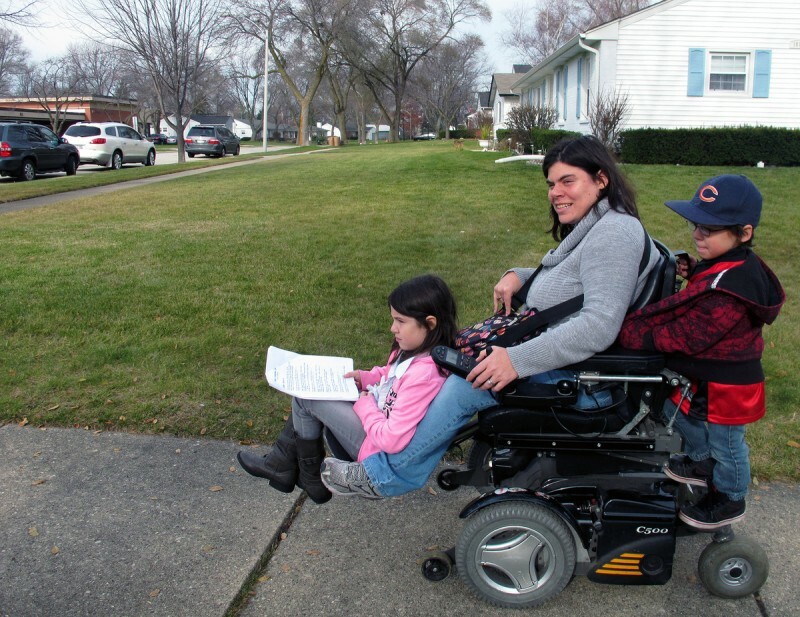 Jenn Thomas, a 36-year-old Illinois mom who has cerebral palsy, with her two children (Nov 2012). READ: This feature article in the Huffington Post discussed the challenges faced by mothers with disabilities and Deaf mothers. It features interviews with Bonnie Brayton, independent researcher Jewelles Smith, and Melanie Moore of the Toronto Centre for Independent Living.